Electric vehicles will have a range of more than 500 miles within the next 10 years. That is the view of Martin Eberhard, a man who sprang to prominence when he co-founded the Tesla electric sports car company in July 2003. One of the world’s most forthright advocates of electric cars, he was ousted from control of Tesla in 2007 and became electric vehicle engineering director at Volkswagen’s Electronics Research Laboratory (ERL) in Palo Alto, California, in early 2009. Here's a Q and A he had with Autocar about the future of EVs in general and about VW’s electric offerings in particular. Q: What does VW’s ERL do, and where do you come in? Eberhard: The ERL is the Volkswagen Group’s biggest R&D centre outside of Wolfsburg. We employ around 100 people, we opened in 1998, and we focus mainly on the development of new driver assistance systems and new human-machine interface technologies, as well as improving the multimedia functionality and connectivity of Volkswagen Group cars. We developed the new Google Earth functionality for Audi’s A8 and A7 sat-nav systems, and worked with Stanford University on VW’s driver-less DARPA Challenge cars. We’re also working on the development of the power electronics and battery systems for Volkswagen Group’s forthcoming breed of electric cars, which is where I come in. Q: Which EVs are you working on right now? Eberhard: Our biggest projects at the moment are the development of the lithium-ion battery packs for Volkswagen’s Blue-e-motion Golf, the E-Up city car and the Audi e-tron. We’re working exclusively with ‘18650’-type lithium-ion cells. They’re the same size as the ones you’ll find in most laptop computer battery packs; that’s why they’re referred to as ‘consumer cells’. Q: Why use laptop batteries when other manufacturers are developing bespoke cells for automotive applications? Eberhard: Because 18650 cells are at the leading edge of battery development, and by using them we can benefit from state-of-the-art technology straight away. Put simply, 18650s develop faster than any other kind of battery because there’s more demand for them; the industry is already making two billion of them a year. To illustrate the point, the lithium-ion cells we’re currently working with contain 2.9 amp-hours of power; five years ago the ones we were using at Tesla only had 1.4 amp-hours. That rate of development has already had an impact on the cars we’re working on. 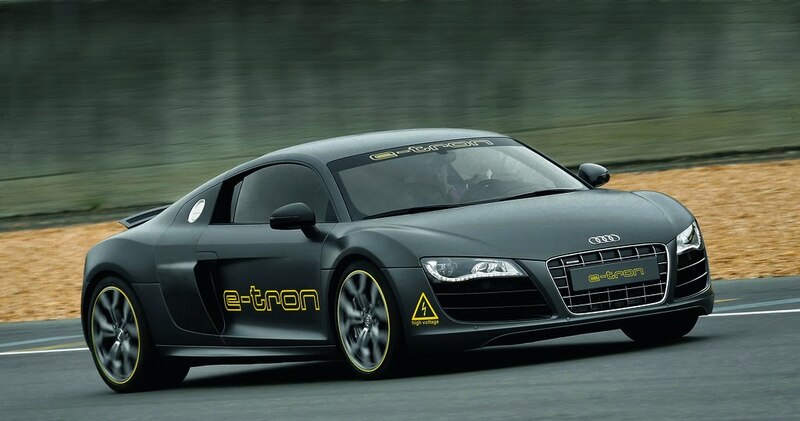 The batteries we used in the original Audi e-tron prototype, for example, gave it 60kWh of power and a range of just over 150 miles. But with the 3.4 amp-hour cells we’re about to take delivery of, it should have 100kWh and do close to 300 miles on a charge. Q: Is there a cost advantage involved with using existing batteries? Eberhard: Of course. Even with the latest-generation 18650 cells, we’ll be looking at a commodity price of about 200 euro per kilowatt-hour. (Nissan’s batteries for the Leaf reportedly cost around 400 euro per kilowatt-hour). Using more, smaller cells also gives us greater built-in redundancy in our battery packs. If one cell dies, you wouldn’t notice in a battery pack containing thousands of them. Q: So when can we expect the fully mature electric car? Eberhard: At the current rate of progress, I’d say we will have banished the range anxiety problem, and will be making EVs with greater than 500 miles of operational range, within 10 years. At that point, the further development of fast charging infrastructure won’t be so important — because how often do you drive more than 500 miles in a day? Some of the numbers quoted by Eberhard in this interview are off. Where he says a 60 kWh battery pack in the original e-tron gives only 150 miles range, the Tesla Roadster with a smaller 53 kWh pack has a range of 240 miles. Based on the approx 200 wh/mi energy consumption of the Tesla, a 100 kWh pack, that Eberhard is quoted as saying gives 300 miles range, would in fact be very close to the magical 500 mile range mark. If VW are working on a production 100 kWh battery pack based on the next generation 3.4 amp hour 18650 cells, we won't have to wait till 2020 for EVs with 500 miles on a single charge range, they'll be available next year. It's interesting to note, a commodity price of about 200 euro per kilowatt-hour for 18650 cells, as quoted by Eberhard, prices the 53 kWh Tesla Roadster battery pack at approx 10,600 euro. The evolution of technologic and scientific researches, mainly, new approaches in Li battery cathodes, as well as new applied concepts and materials, will make the battery efficiency exceed the current breakthrough, much more soon than expected by automotive business men. Just wait only five years and see how things will be. 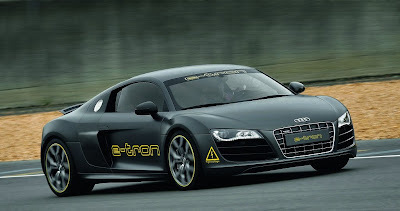 People, the real market, are anxiously waiting for electric vehicles. No one more accepts wasting money in losses of fossil fuel caused by low efficiency internal combustion engines.